We all have a need to feel wanted and appreciated. Think back to when you were younger or at school and how good you felt when you were praised or appreciated for doing something by your parents or teacher. Equally, think about how you felt when you thought you should have been praised or appreciated but were overlooked! Maslow, in his theory of needs, published in 1943, talks about our social need for belonging and acceptance among social groups, whether these groups be large or small. So, it’s no surprise that when we work in teams, we also have a need to be appreciated by our colleagues. 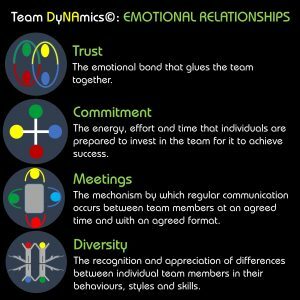 In the Team DyNAmics© Model, that helps teams measure how effectively they are working together, appreciation falls within Diversity, one of the 16 Elements that make up the Model and support the achievement of high-performance teamwork. So what can you do to ensure your needs and those of your colleagues in your team are appreciated? Here’s a simple, yet effective activity you can undertake, when your team next get together. As an example, when I use it as part of the team-building workshops, that I facilitate, for a team of 10, it takes about 30 minutes. Everyone in the team is given an A4 piece of paper and a pen. Firstly, each team member writes their name at the top of the piece of paper. At the very bottom of the paper, they then write a sentence that explains what value they think they bring to the team. For those people who have worked with me and received a personal profile, you can even read your profile and pick out a phrase that resonates with you. If not, just think of something you feel you do well that benefits your team. Once everyone has written their sentence, make sure that the paper is neatly and carefully folded from the bottom, so the sentence is covered up. Then, pass your paper to your colleague to the left of you. They will then see your name at the top and just above were you have folded the paper at the bottom, will write down a positive sentence about what value they think you add to the team. They then neatly fold the paper, so it covers their sentence about you and pass it to the left again. Eventually, you will receive the piece of paper back with your name at the top of it. Once everyone has received theirs back, it is time for the big reveal. 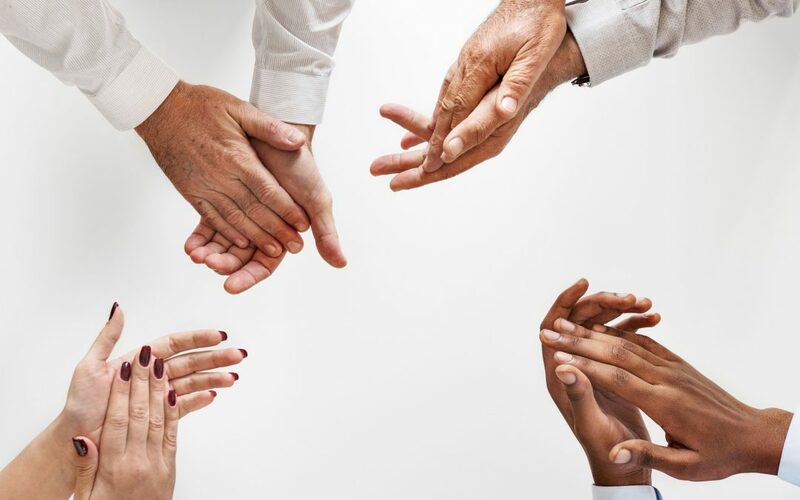 On many occasions, I have had team members become quite emotional, when they have read the positive comments from their colleagues, as often, in the fast-paced, task-orientated work-environment in which we work, we sometimes overlook appreciating our colleagues. It gets you thinking as well. Do the comments from your colleagues resonate with you or is their perception of the value you add different to what you think you add? It can get you into some great conversations about self-perception and how others perceive you. Finally, because all of the comments will be positive, keep the piece of paper in your desk drawer or somewhere similar and when you are having a bad day, get the piece of paper out and read the comments, to give yourself a positive boost as to the value you add to the team. If you try this out with your team, I’d love to hear about the outcome, so please, let me know, by posting a comment or emailing me. Would You Like Help Others And Be Featured? If you have some effective learning that would help either individuals or a team and want to be featured, I’d love to hear from you. The only criteria are (1) the learning is effective, (2) it takes no longer than an hour to undertake, (3) you don’t need too many resources, (4) you are able to share it freely. If you do, please use the Contact Form to get in touch with me.